****HOLIDAY SALE!!!! *** For a limited time Subject 7 is being offered at a reduced price of $.99 for the holidays!!!! Best wishes from Float Hybrid Entertainment! By popular demand camera and collision bugs are now fixed and auto-save feature added. "It has been some time." "Things have not gone well since last time. You must escape, but step lightly and choose your allies carefully. Be wary because while freedom is the prize failure means a fate darker than any you can imagine..."
Subject Seven: Episode 1 is the first chapter in an unfolding story. 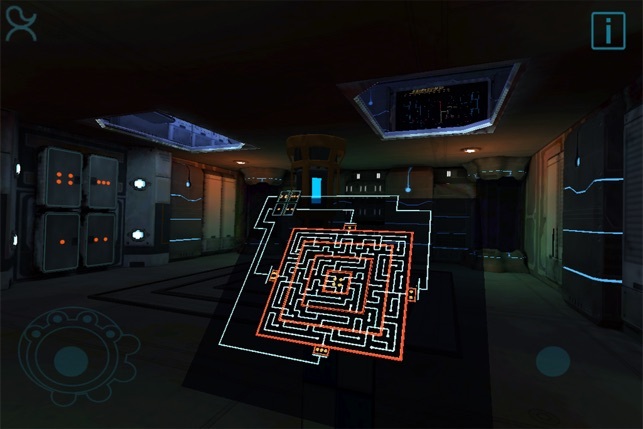 Experience an adventure game set in a mysterious Sci-Fi environment. 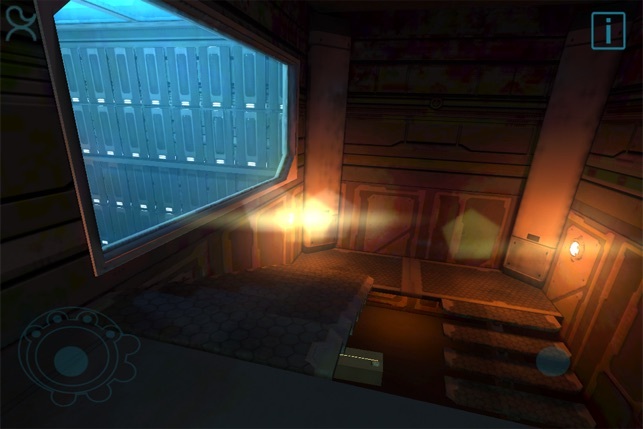 Using unique “window” controls you will explore Subject’s world looking for clues, solving puzzles, fund help and if you’re lucky a way out. Created using the Unreal 3 engine, Subject 7 pushes the visual bar for 3d mobile experiences and environmental interaction. - “Window” controls let you point your device as if it was a window into the game world to look, interact with, move and hear your environment in an immersive experience unmatched in mobile gaming. 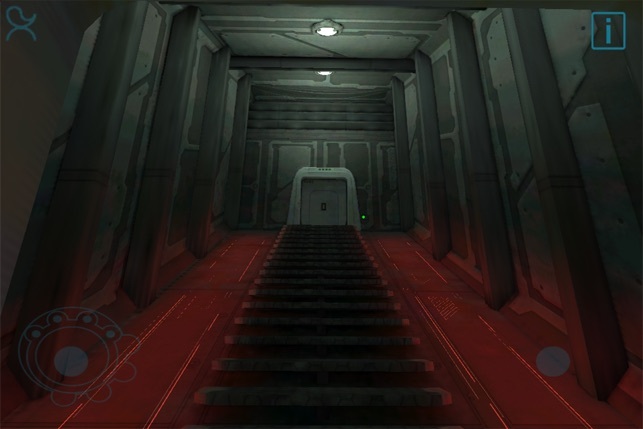 - A variety of challenging puzzles will push players perception and creativity to solve and offer clues about this unique environment. 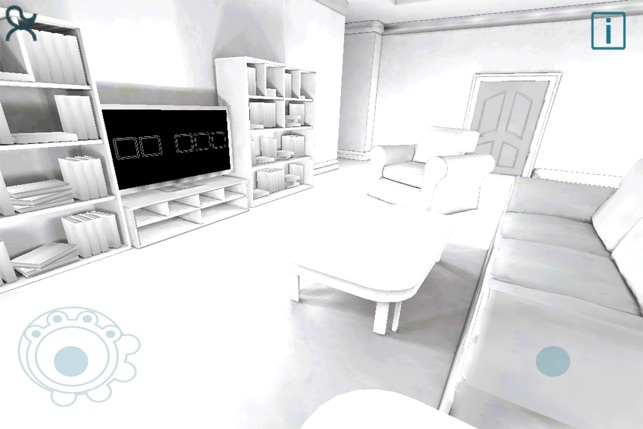 - Physics interaction with world objects allows you to pick up, carry, throw, drag, spin objects around you. - Fight shadowy enemies using futuristic weapons. - Subject Seven: Episode 1's story features spoken dialogue by several characters who will help, hint and hinder you through your first adventure. 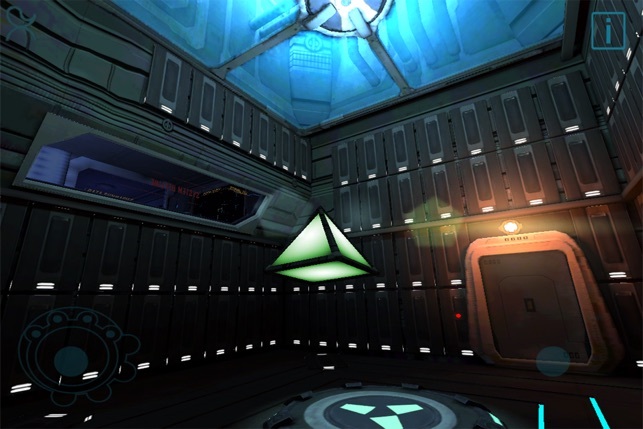 - Advanced spatial sound will immerse players as they explore a dark and dangerous world. - BEST PLAYED with HEADPHONES! Added Autosave feature! Games will now store your progress and load when the App is reopened. Camera and collision bugs fixed. 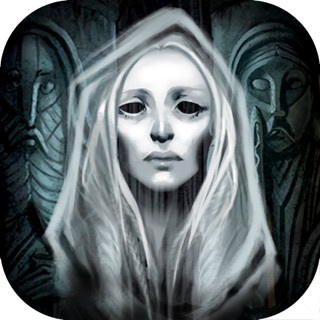 For those of you with an iPad 2-3, don't worry about this game not functioning properly. While I can't speak of its gameplay on a first gen iPad, I can definitely say I recommend this title for anyone wanting to see the potential the iPad contains for first person immersive experiences. At the time I purchased this I had been looking for a game much like amnesia, and found this first person perspective (and relatively low price) good enough for me to try it out. Needless to say I was highly impressed by the amazing graphics and physics engine at use. Though the game is fairly short, and maybe an hour max, is worth the price. The presentation is haunting and mysterious, though the voice acting could have been a bit stronger. My hope is that this sort of game design will be implemented in later use or horror games and other exploration based titles. Excellent job! This is a good action puzzle game. Very well constructed with elements that make it feel like a myst mixed with a portal all wrapped up in the matrix. Some of the puzzles are rather difficult but the game took me no longer than about 4 hours to beat. Graphics and sound are definitely impressive and really ouch these devices to see what they can do. Overall I would recommend this game if any of the above sounds interesting to you. 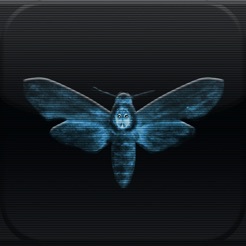 Requires iOS 3.1.3 or later. Compatible with iPhone 4, iPhone 4s, iPhone 5, iPhone 5c, iPhone 5s, iPhone 6, iPhone 6 Plus, iPhone 6s, iPhone 6s Plus, iPhone SE, iPhone 7, iPhone 7 Plus, iPhone 8, iPhone 8 Plus, iPhone X, iPhone XS, iPhone XS Max, iPhone XR, iPad 2 Wi-Fi, iPad 2 Wi-Fi + 3G, iPad Wi-Fi (3rd generation), iPad Wi‑Fi + Cellular (3rd generation), iPad Wi-Fi (4th generation), iPad Wi-Fi + Cellular (4th generation), iPad mini Wi-Fi, iPad mini Wi-Fi + Cellular, iPad Air, iPad Air Wi-Fi + Cellular, iPad mini 2, iPad mini 2 Wi-Fi + Cellular, iPad Air 2, iPad Air 2 Wi-Fi + Cellular, iPad mini 3, iPad mini 3 Wi-Fi + Cellular, iPad mini 4, iPad mini 4 Wi-Fi + Cellular, 12.9-inch iPad Pro, 12.9-inch iPad Pro Wi-Fi + Cellular, 9.7-inch iPad Pro, 9.7-inch iPad Pro Wi-Fi + Cellular, iPad (5th generation), iPad Wi-Fi + Cellular (5th generation), 12.9-inch iPad Pro (2nd generation), 12.9-inch iPad Pro Wi‑Fi + Cellular (2nd generation), 10.5-inch iPad Pro, 10.5-inch iPad Pro Wi‑Fi + Cellular, iPad (6th generation), iPad Wi-Fi + Cellular (6th generation), iPad Pro (11-inch), iPad Pro (11-inch) Wi-Fi + Cellular, iPad Pro (12.9-inch) (3rd generation), iPad Pro (12.9-inch) (3rd generation) Wi-Fi + Cellular, iPad mini (5th generation), iPad mini (5th generation) Wi-Fi + Cellular, iPad Air (3rd generation), and iPad Air (3rd generation) Wi-Fi + Cellular.